Jurgen Klopp wants Liverpool fans to use the 'power of Anfield' against Chelsea as the league leaders prepare for one of the biggest and most important games of the Premier League season. 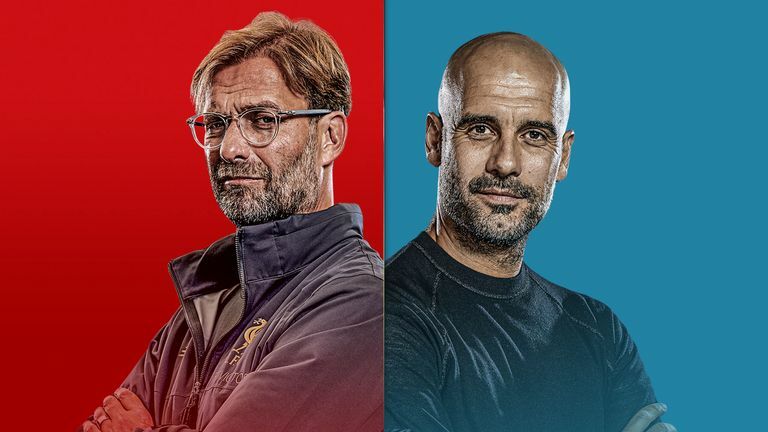 Liverpool host Chelsea on Super Sunday, live on Sky Sports Premier League, just after the conclusion of Manchester City's trip to Crystal Palace. Liverpool sit two points above City with five games remaining, though City do have a game in hand. "We have to create the power of Anfield and use the power of Anfield again. I am so happy with our crowd and how they deal with everything in the last month and maybe year since I've been in," said Klopp. "It's a strong opponent and we need all our resources to win it." History hasn't been kind to Liverpool in this fixture. Their last victory over Chelsea at Anfield was in 2012 and five years ago the same fixture - and Steven Gerrard's slip - proved to be the critical turning point in Liverpool's ultimate failure to lift the Premier League title ahead of City. 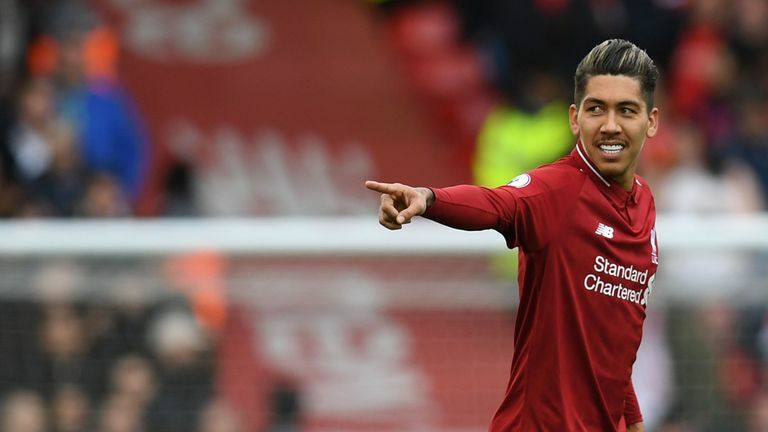 "It's a classic, a great game, and we will have to be 100 per cent switched on," warned Liverpool striker Firmino. Chelsea have won their last four matches in all competitions and were victorious at Anfield earlier this season when they knocked their hosts out of the Carabao Cup. "Chelsea is in a really good moment," said Klopp. "We've had two opportunities to watch them during the week on Monday and on Thursday in Prague. They are in a good moment and that's the truth. "They can make seven changes between the two games and still win the games. [Eden] Hazard is in very good shape and it's a big game for us. It's not an easy one, we know that." Chelsea arrive in Liverpool in fine fettle. On Thursday night, they secured a fourth consecutive win and a slender advantage in their Europa League quarter-final against Slavia Prague. 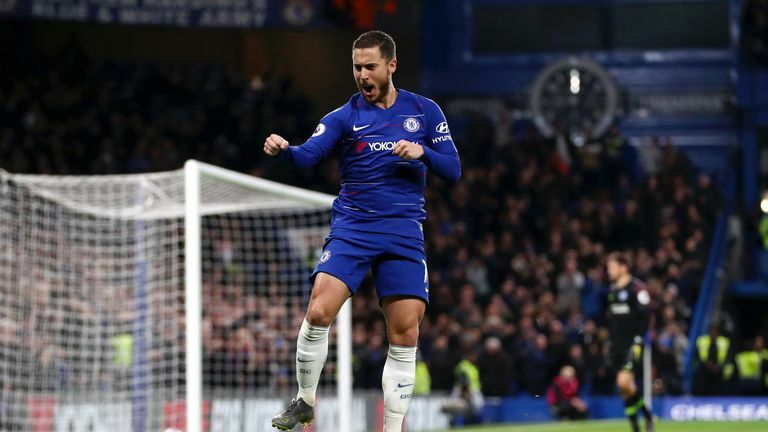 "We have to continue our good form," Chelsea boss Maurizio Sarri said. "It's a pity we come to play a game like this with only two days to prepare, Liverpool had two more, but that's the way it is." Andrew Robertson is set to return to the Liverpool side after missing the midweek Champions League win over Porto due to suspension. Roberton's return means that James Milner, who played at left-back against Porto, is in contention for a midfield role, presenting Klopp with a selection dilemma following the recent strong performances of Naby Keita and Jordan Henderson. Premier League - Crystal Palace v Manchester City: Live on Sky Sports Premier League from 1pm and Main Event from 2pm; Kick-off is 2.05pm. Premier League - Liverpool v Chelsea: Live on Sky Sports Premier League and Main Event from 4pm; Kick-off is 4.30pm. Championship - Wigan v Norwich City: Live on Sky Sports Football and Main Event from 11.30am; Kick-off is 12pm. Coverage of Super Sunday begins on Sky Sports Premier League at 1pm. Sky Sports subscribers can also stream the match via the Sky Sports app or the Sky Go app. Non-subscribers can watch the match through NOW TV. A Sky Sports day pass is available for £8.99, a week pass for £14.99 or a month pass for £33.99. NOW TV can be streamed through a computer or apps. If you can't watch live then you can also follow the action with our live blog on www.skysports.com and the Sky Sports app, with in-game clips and highlights throughout the match.